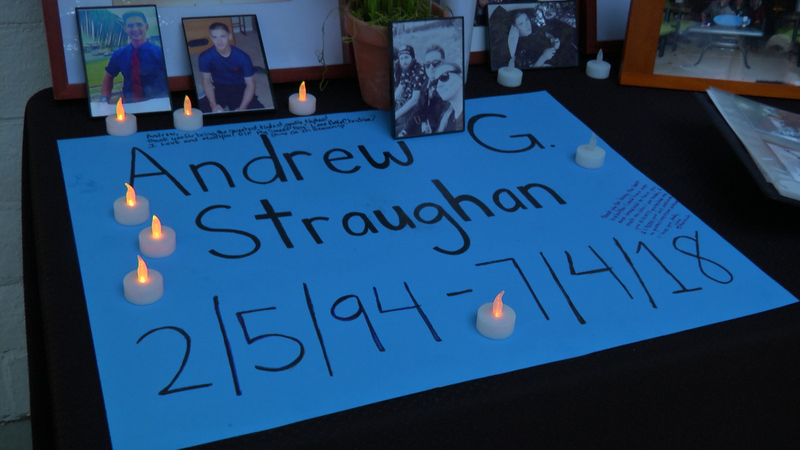 Friends and family of 24-year-old Andrew Straughan gathered at Central Park to hold a memorial in his honor after Straughan died in a crash in Saugus on July 4. Straughan was an alumnus of Bowman High School and was an active duty Marine. He enjoyed basketball and riding longboards with his friends. The fatal crash remains under investigation as of July 9, 2018. Dude Andrew can’t believe this happened to you! Haven’t seen since prom night but wow thank you for thinking of me to help you plan the party!! We had graphic arts together and we had a blast messin with Mr Sigel bro. Those were the days I always would see your brother and see how you were doing! Thank you for serving our country till we meet again brother!